Although cannabis culture has a rich and long history, it is since recently that cannabis products get a lot of marketing and room in the media. With more people engaging into this culture, the more cannabis forms comes out from the cannabis advocates. Today, we talk about a crumble. Cannabis crumble is a form of cannabis that is concentrated and that has a really high potency and therefore it is not advised for beginners to start with these. 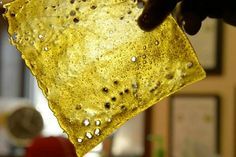 It comes in the shape of shatter, wax or crumble as a final product of cannabis concentrates. Now, why should you smoke crumble, instead of a nice big fat nug which smell fulfills the whole room once you open the bag? Why should you smoke crumble? 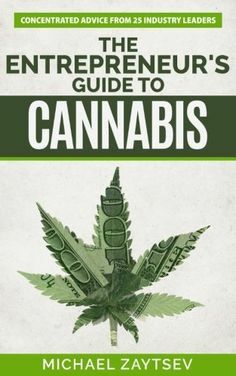 Besides the fact that it’s popular, cannabis crumble costs $30-$50 per gram, which is not cheap but the overall effect that you will get is worth much more than that. First of all, the potency. There is no more potent bud flower than any wax or crumble concentrate, case closed. The smoke is less harsh and richer in flavor which is exactly what heavy smokers want. Although these dabbing activities do require a bit more of equipment, it is worth of every dollar as you will get high and that will last almost day. That is how hard these crumbles are! Potency, price-quality ratio and great flavor – what more do you need? How to smoke cannabis crumble? 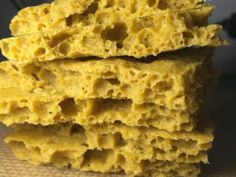 tart slowly, if you have not had any experience with concentrates previously, as these concentrates are really potent and strong. Another advice we would like to give is that you start with slow heating at first, as you will preserve the taste of the concentrate and have a flavor-rich smoke. Why should I smoke concentrates? The reason why people opt for concentrates is that they are much more potent, produce long-lasting effects and they offer more convenience in terms of consuming. Though you will experience the best effects with the right equipment, the concentrates can be used traditionally, by rolling it up. As the price is a bit higher, you can expect to be high much longer. The cannabis crumble has become wanted as it can be used in a traditional way and with vaporizers and bongs. Not to mention that is much healthier as you do not smoke any of the side-materials that do not contain the psychoactive ingredient. Smoking cannabis concentrates is a relatively new thing and even experienced smokers could find themselves in intimidating situation, especially when they don’t know how to smoke shatter properly. The dabbing trend continues to rise, we have to stay up-to-date with the latest methods of consumption. Dabbing has been around for a while although the technology made a huge leap in the past few years, which led to emerging many tech-tools for cannabis concentrates consumption. The reason why concentrates are so popular is that they deliver much quicker and potent effects than the traditional herb material. This fact can be petrifying, especially for novice smokers who just have started their cannabis adventure. For people who are not big fans of tech-cannabis-tools, the best way to start a smoke session is using a water pipe or hookah. They are available in different versions that give you an option to use certain attachments to turn your water pipe into a professional dab gadget. You will also need a nail – the best ones are made of quartz or titanium, although a ceramic one will be just fine. The third thing you will need is bowl where your concentrate will be heated. To make everything old school, find a blow torch to heat up your concentrate. And finally, use a dab tool to apply the dab once it is heated. The only drawback of these old school rigs is the lack of portability. They are usually desktop units and are hard to transport without the proper case. Now, let’s explain the more convenient way of smoking cannabis concentrates. How To Smoke Shatter Using A Vaporizer? o a quartz bowl, close the lid, press a button to start the heating, and wait until it heats. This straightforward and minimalistic design turned out to be the exactly what cannabis users want; a simple, quick and reliable procedure that gives a fantastic experience while staying incognito. Once again, how do you smoke shatter with a vaporizer? First, make sure you are using vaporizer/pen that is made for wax/shatter use. Turn off the device, open the lid, pack your shatter nicely, using the dab tool (a long metal piece). Close the lid. Now, turn on the device, press the button to start heating and wait until the chamber fills in with the vapor. Once you see the signal that is full, start with inhaling. Enjoy your shatter! Do Not Forget To Clean! Wax, shatter, or any other cannabis concentrate produces a lot of resin inside the chamber and the bow. To avoid any possible health risks, it is advisable to clean the device after each session. Make sure you read the instructions and the manual carefully to disassemble the device, clean all its parts slowly with alcohol to removing any residue left. After you are done with the cleaning, leave the device to dry up. After it is dried up, use a cotton cloth to polish it. Assemble all the parts and plug it in to make sure everything works fine!